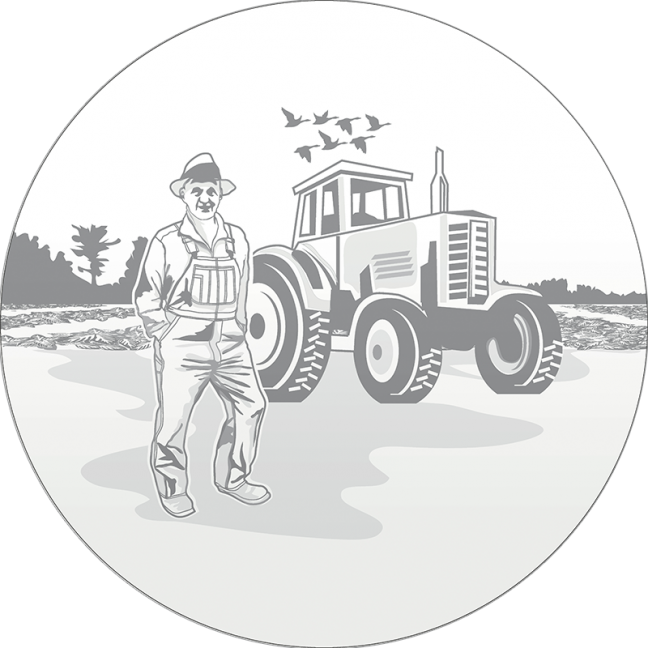 “Farmers – Our Lifeline” Coin Voting Is Now On | Chatham-Kent Agriculture Development | We Grow For the World! The following is a note from Katherine Moon, who is one of the five finalists for a coin contest she entered. What she has submitted was a coin to honour farmers entitled “Farmers – Our Lifeline”. This is now in the voting stage, so please start voting and send this to anyone else who would want to help get the farming community in Canada noticed by everyone in our country. Hi – my name is Katherine Moon and I am a finalist in the Royal Canadian Mint “My Canada – My Inspirations” contest. I have a 1 in 5 chance of getting the “Farmers” of Canada onto a Canadian coin for 2017, the 150’th Birthday of Canada. The website for voting is mint.ca/Canada150 where you can see the design. The reason I am writing today, is that I need to get the message out to the farmers, neighbours, family and their friends for voting. I have not been able to do interviews as I am sick, and do not know how to get the word out. I was hoping that perhaps if you have a mailing list that the webpage address could be sent to, that would help a lot. Facebook or Twitter messages could also help. The name of my design is “Farmers – Our Lifeline”. I want to get recognition for our farmers as there is nothing we consume in a day that has not been touched by a farmer in some way. Voting started September 1st and is done on October 9th. Anyone can vote as often as they like, there is no limit.